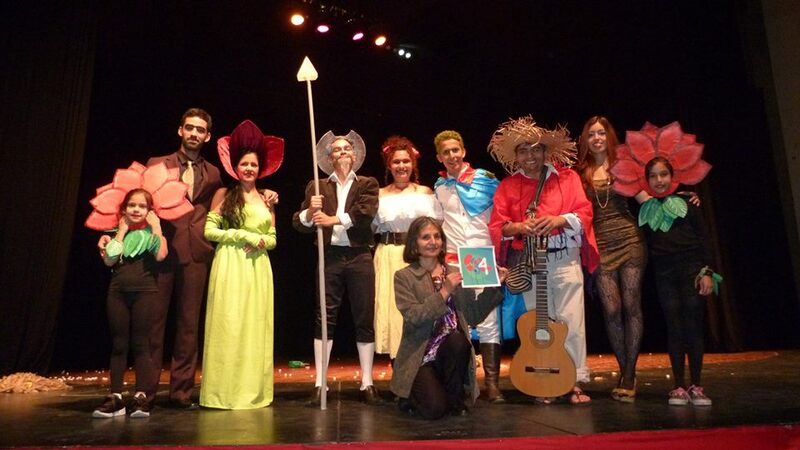 In the framework of ‘National Theater Day’, the 34th edition of the Student Theater Festival was held on the stages of the “Tulio Febres Cordero” Cultural Center . In this edition, the festival was divided into the categories: children, monologues and independent groups; and was attended by students from three municipalities during the three days. The ‘Aeschylus’ theater group from New Acropolis presented The Adventures of Don Quixote and the Noble Prince, an educational and entertaining work giving a message of hope and reflection. El elenco de “Las aventuras del Quijote y el noble Principito” recibiendo el reconocimiento por una actuación destacada.